Jyoti Telecom is one of the leading Manufacturers and Suppliers of Wireless Security System. The company provides wide range of GPS Tracking System, Highway SOS GSM Emergency Calling System, Wireless Fire Alarm, GSM Wireless Security Alarm, Server Room Temperature & Humidity Monitor and many more. The CEO of the company Mr. Arun N. Avhad had established Jyoti Telecom in the year 2000 and set up its base in Maharashtra, India. 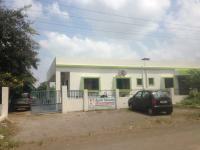 The infrastructure of our company is spread over a large area in Nashik, Maharashtra. The infrastructure of the company is divided into different sections such as manufacturing unit, quality testing unit, R&D and warehousing & packaging unit. This unit is equipped with all the advance machinery and equipment, which help us to complete the bulk orders within time. At our testing laboratory various wireless security systems are tested on different parameters. Moreover, the finished products are stored in spacious warehouse before finally delivering to the client.